Lawrence Rotarians will be giving dictionaries to students in thirteen Lawrence schools over the next few weeks. At a cost of over $6000, the dictionaries go to students in the third grade. Rotarians bring the books to the classrooms, invite the students to write their names in their new books and look together at what these dictionaries contain. In addition to words and definitions, the books include historical, geographical and other information. Teachers have encouraged Rotarians in this activity! Let new experiences energize you at the Rotary International Convention in Hamburg, Germany, 1-5 June 2019. Arrive early to meet Rotaractors from around the world at the Rotaract Preconvention, 31 May-1 June. 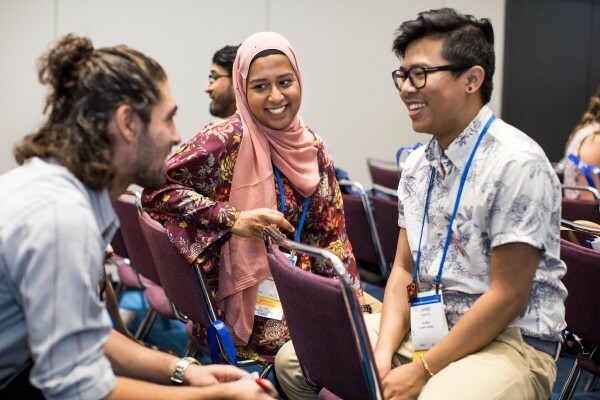 Connect with People of Action at the 3K Walk Against Polio, discover new ways to bring about change in your community at engaging breakout sessions, and explore fresh opportunities for service in the House of Friendship. Be sure to share your favorite convention memory with us for a chance to be featured at the convention. And don't forget to invite a friend to join you there. Use our promotional materials to get members excited about attending. The Rotary Club of Lawrence, Massachusetts strives to build a better community, emphasizing service activities by Club members that enhance the quality of life and human dignity, encouraging high ethical standards and creating greater understanding among its people. The Rotary Club of Lawrence, founded in 1920, consists of over 30 men and women representing the business community. The Lawrence Club is one of 31,603 Rotary Clubs in 166 countries, with over 1.21 million members worldwide. The Rotary Club of Lawrence is part of District 7930, one of 48 Clubs in Eastern Massachusetts and Southern New Hampshire. Our diverse membership offers their leadership, talent and resources for the enrichment of the Greater Lawrence Community. If you would like to learn more about Rotary and the Lawrence club, please read our brochure (PDF) and contact us. You can also explore the links to other membership information.